Seven years ago, started an unusual story of winemakers and winegrowers from the Royal Vineyards of Zadar. 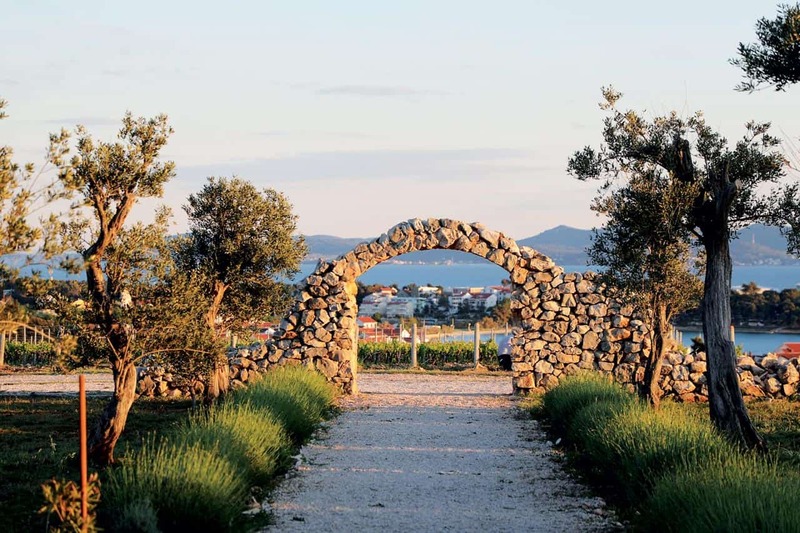 Economic idea of planting autochthonous grape sorts on the south slopes above Petrčane has been implemented on one of the most beautiful locations in the North Dalmatia. The Punta Skala position is located 12 km north-west off the city of Zadar by the sea. The south precipitous hillside (10% slope) hosts vineyards sitting at 8 to 50 m above the sea level, a perfect site for vine growing. 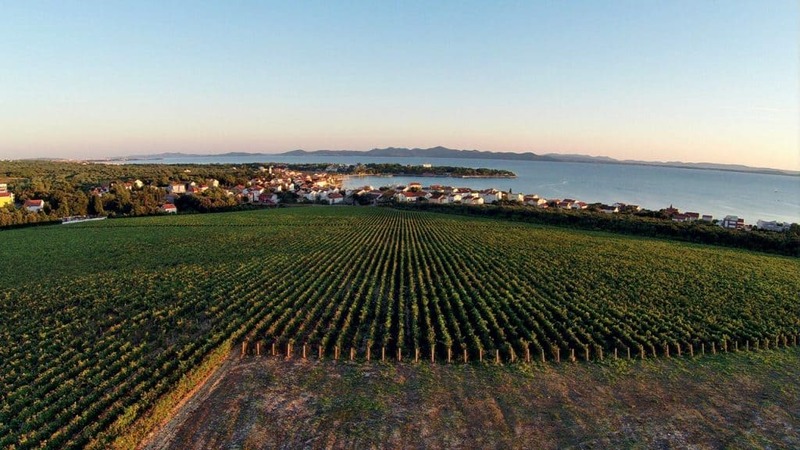 The name itself, the Royal Vineyards refers to the story dating back to 1066, when king Petar Krešimir IV gave land to the newly established Benedictine monastery of St. Mary in Zadar. Namely, the Benedictine monastery owned vineyards in 870 and its tradition was abruptly stopped due to land reform. ‘As the new Croatian state was formed, most of the land was returned. We took it in a long-term concession and by April 2011 we planted young vines in stone and thus inhaled life to Royal Vineyards witnessing 877 years long tradition and love for wine’, explained the Royal Vineyards director Milenko Rajić. 300.000 pieces of vine grapes were planted yielding 150.000 bottles of top quality rocky soil wine. The meagre land was prepared for cultivation with heavy excavators, digging 1 m deep holes, the stone blocks were shredded then by special machines to fist-shaped-stone pieces. Three indigenous grape sorts were planted – the white one pošip, plavac mali and crljenak, the red variety. 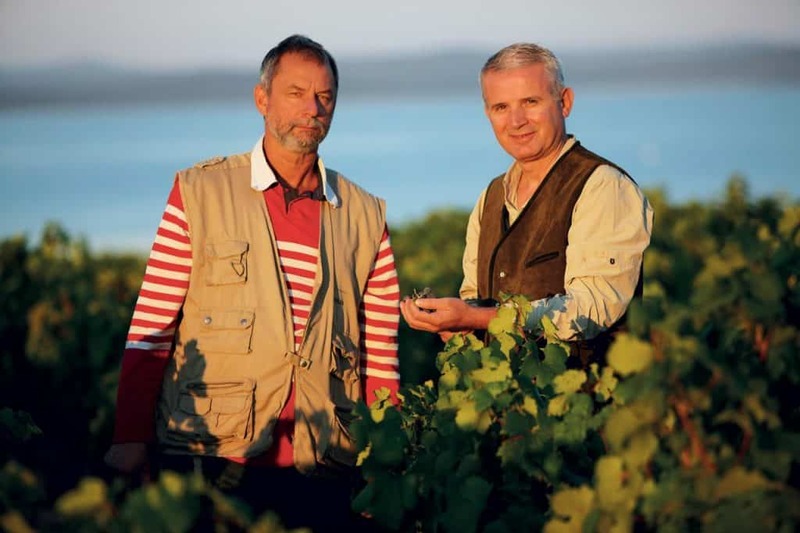 Why this method of wine growing explained co-owner and winery director Zoran Pantalon: ‘Poor soil bears scarce fruits, yet of supreme character not possible to produce from another type of land. Grapes from the rocky vineyards and exquisite taste of wine, are fruits of exceptional microclimate, the sea site, all day long sun exposure with approximately 2.600 sunny hours a year, i.e. direct triple insolation coming from the sun, sea and stone.’ The first white wine – pošip made in a wine cellar was crowned as the best young white wine on Sabatina. After that three regional awards followed for the best white wine in sales, and in the past two years even three silver medals for quality in the most prestigious competition Decanter in London. Top quality wine adorned with freshness, minerality and fruity flavour, in a blink of an eye, has attracted worldwide clients, even from the rich Japan, where the Royal Vineyards have been exported to for the past four years and now stand as the biggest wine exporters from Croatia to Japan. ‘Recommendation of our friends Ana and Paul Novosel, a captain from Zadar, connected us to the business partner, a wine importer from 27 countries. We presented our wine sorts in two greatest food and drink fairs in Tokyo, but also wines from four Croatian wine producers. The result was a visit of a few group distributers from Japan, touring our vineyards and wine cellars, as well as our trips to wine presentations in Japan. Today our wines are served in the most prestigious business club Tsunamachi mitsui in Tokyo and other restaurants, even the Japanese royal family tasted these’, shared Mr. Rajić with us, one of the founders of this project. Business cooperation continued through Croatian indigenous grape sort plants (plavac mali, pošip, maraština, debit and others) export prepared to be cultivated in Japan next year. ‘Vine grapes plavac mali and pošip will be cultivated in Japan in greenhouses providing special effects. To make things sure, two Japanese students have enrolled one-year education course on Zagreb Faculty of Agriculture, and they will be doing their traineeship in our vineyards on Punta Skala’, emphasized Rajić. Jelena Yamasaki, a founder of JCEA the Japanese-Croatian Society of Exchange from Osaka, supported the entire project with strong enthusiasm and said: ‘Our indigenous grape varieties are being cultivated in Japan and their students are receiving education in Croatia, i.e. we are exporting the goods and the brains.’ The historical background of the Royal Vineyards continuous thanks to our speakers who have breathed in their love and passion for quality in every drop of this wine, just like in the old days, when saint Benedict, heavenly protector of Europe, suggested to all sick people to have half a litre wine in order to get well. Become a part of history and enjoy the wines of character intensified through the tone of stone echoing scents and colours of grapes infused with Mediterranean climate rewards.